At Norwegian Log we pride ourselves on the quality of our customer service and commitment of our staff, and our senior team leader Paul Preston is one of the best examples of both. Paul has worked at Norwegian Log for nearly 30 years, starting as a carpenter when he was only 18. 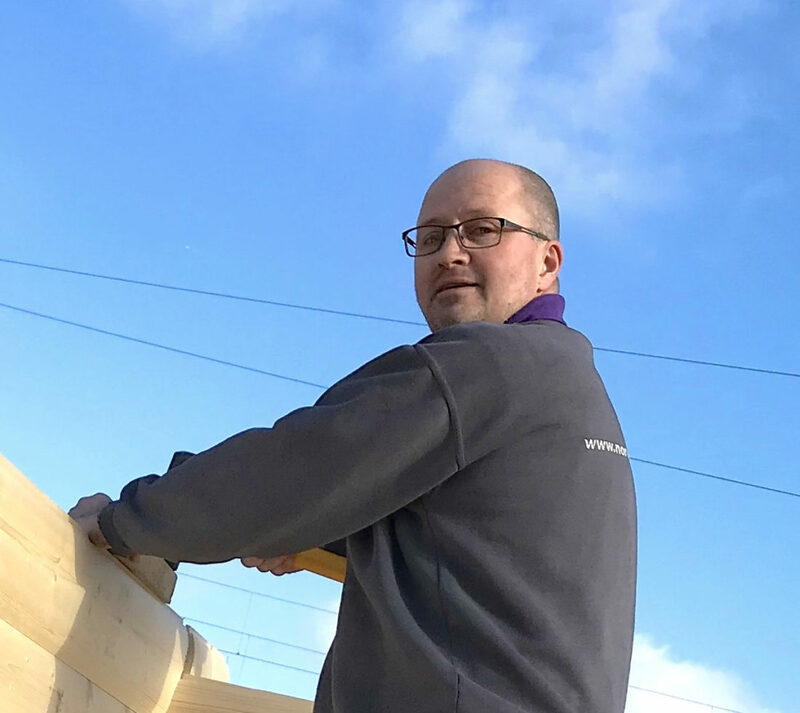 Three decades later, and with experience of building hundreds of log buildings under his belt, he is now delighted to be passing on his knowledge to our new intake of apprentices as their mentor. “It’s great that the company is employing apprentices as it’s a good way of getting new people on board who can be trained to Norwegian Log’s standards. It’s lovely to be able to share my experience,” he says. His most unusual project was constructing five log cabins in Russia in 1990 for a Woking company whose staff worked on power stations. “We were there for three months and it was still quite a closed country. It was definitely an interesting experience,” Paul comments. Having to join a bread queue one Sunday, Paul got talking to local people and ended up being welcomed into their homes and enjoying their hospitality. And the most beautiful location. “Most definitely in Snowdonia. We had these lovely customers who adored walking. One day they found an old cottage that was derelict, and as they stopped to have a cup of tea, the farmer walked past who owned the cottage and they asked if it was for sale. They bought it and several years later they managed to get planning permission for one of our log buildings. It had the most beautiful views across Snowdonia, just wonderful,” he says.